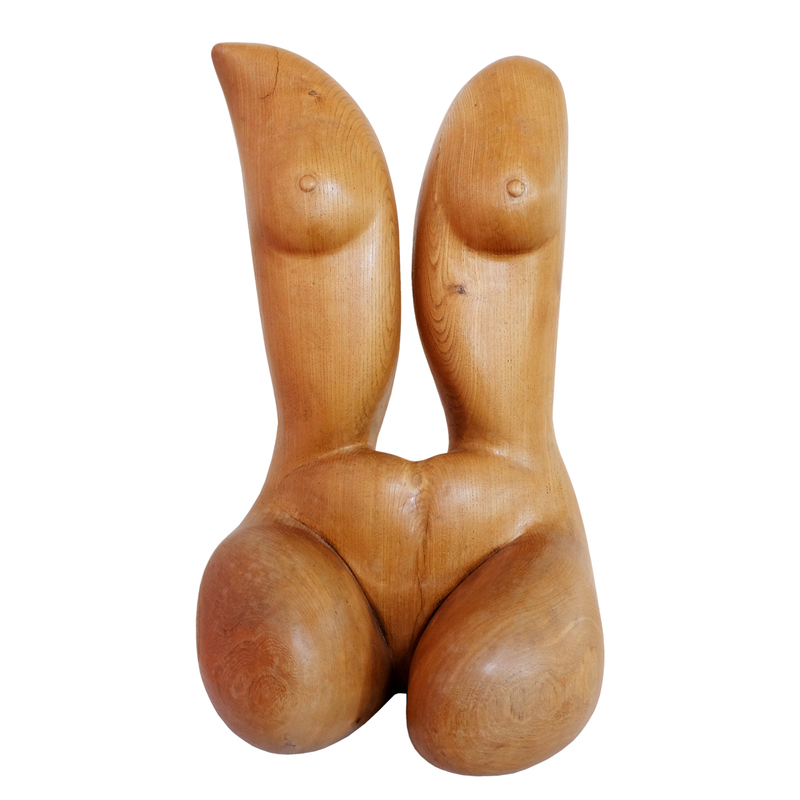 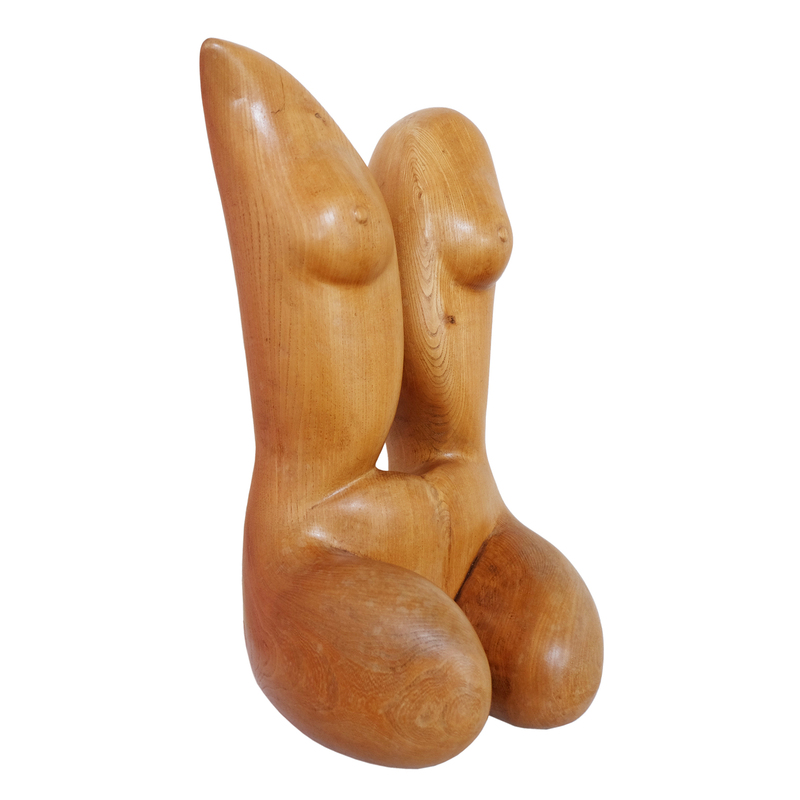 1950s hand-carved female torso sculpture. 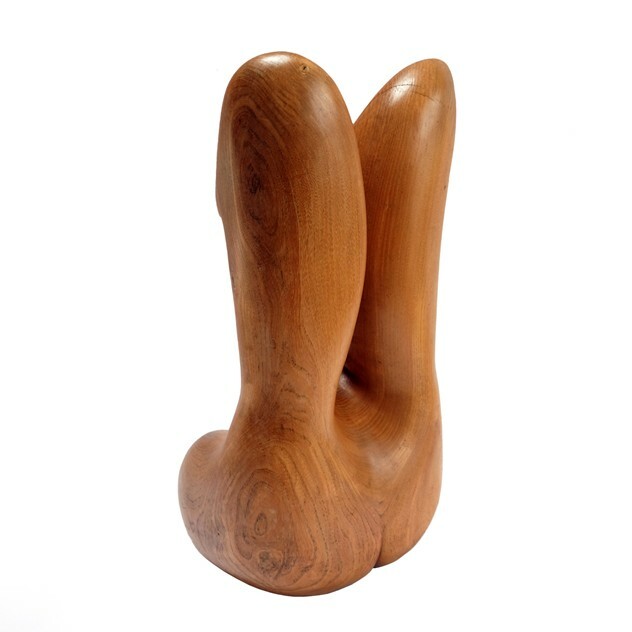 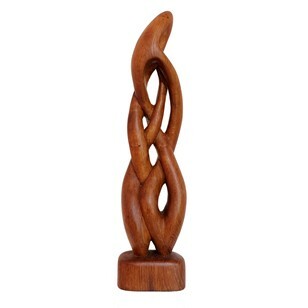 Made from elm wood this large sculpture is beautifully carved and has an impressive weight to it. 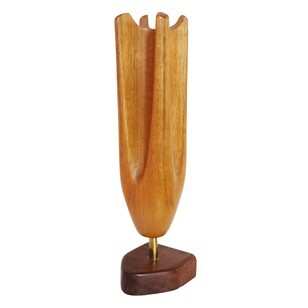 Measures: H 52cm x W 32cm x D 29cm.